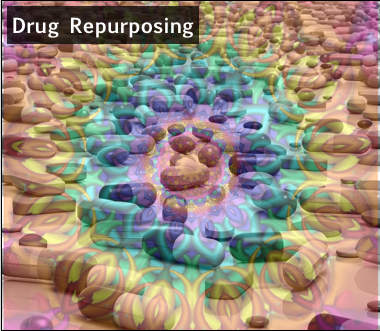 Today we added another topic to the Open Drug Discovery Teams project, called Drug Repurposing. The source material currently corresponds to the Twitter hashtag #drugrepurposing, which means that any time anyone tweets a link with that tag, it will find its way into the incoming content section for the topic. 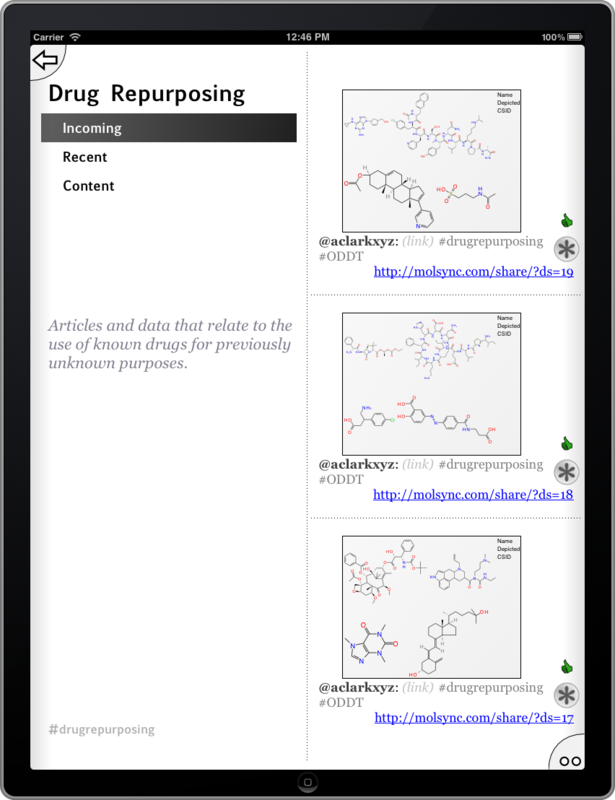 To get the new topic off to a running start, the source material for version 1.0 of the Approved Drugs app has been divided up into page-sized chunks and tweeted-into the topic – which is the purpose of the series of tweeted datasheets. These provide name, structure and ChemSpider ID for about 1300 drugs approved by the FDA, which is the same data used by the app. The plan is to resubmit the series with each major revision of the source data, so the content will be available to anyone who wants it, not just anyone who has the app. The first column of factoids each corresponds to one of the tweeted datasheets, containing approved drugs organised into groups by alphabet. The preview thumbnail in each case shows several of the drug stuctures, and a concise summary of the column named. Note that both the thumbnail, and this scrollable detail-view, are rendered by the app itself. The server recognised the original content as chemical data, and passed this knowledge over to the app. 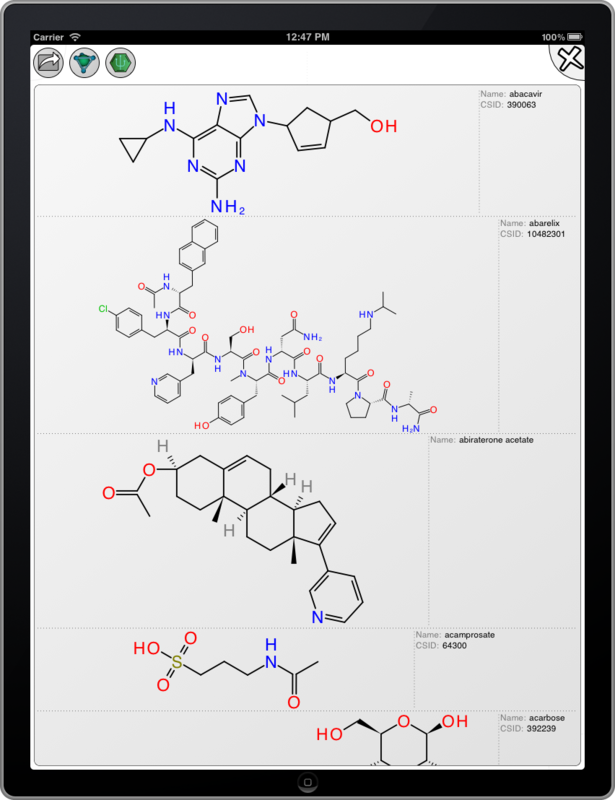 The app parses the datasheet, and its constituent molecules, in order to display it in the appropriate context. The buttons on the top left of this page offer to make this data available to any other apps installed on your device. Creating a new topic in ODDT and frontloading it with chemical data foreshadows one of the major design objectives of the project: the chemical structures will eventually be searchable, and features are on the drawing board for extracting all kinds of structure:property data from the underlying documents.